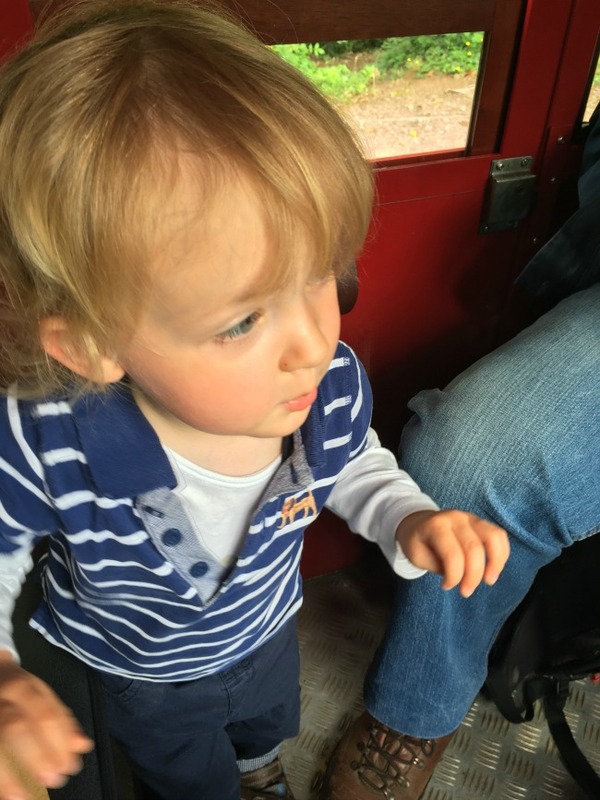 This week has been about trains and trampolines, oh and bikes and baby birds. So much has happened. We have had lovely weather with the threat of rain and localised flooding but we escaped it all. 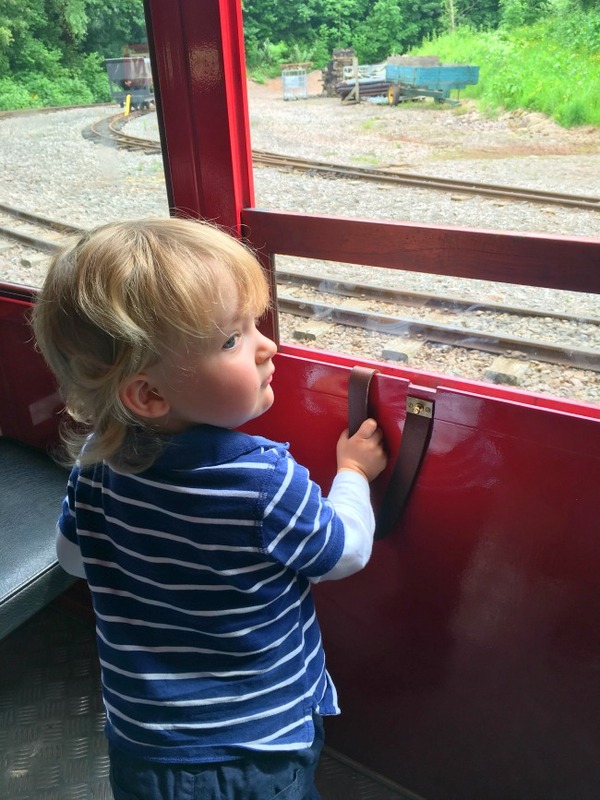 On Tuesday we visited Perrygrove Railway and had a fantastic day out. 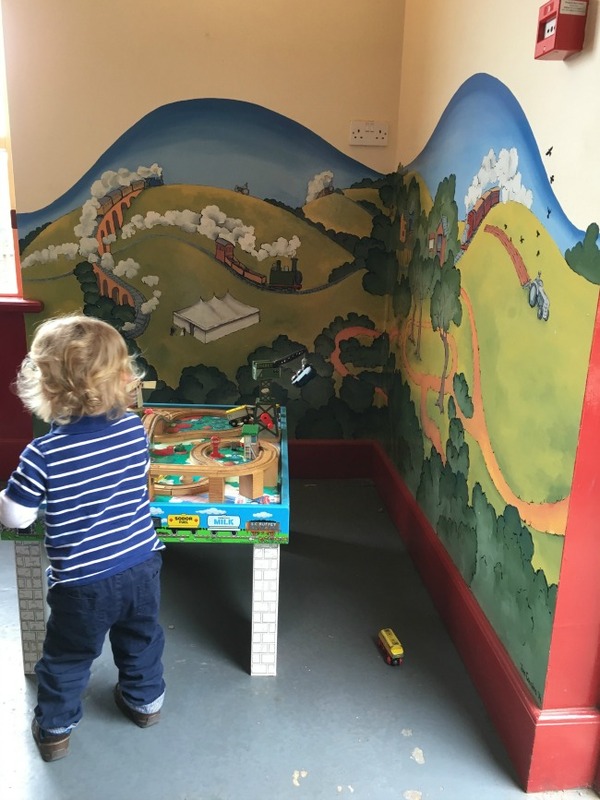 They have a narrow gauge railway, adventure playgrounds and Bears favourite, a wooden train set! At the end of the line at Perrygrove. Just waiting for the engine to change ends. Bear has been using a push along John Deere lorry as a ride on. It isn't designed for that but he likes it. Its just too small so ages ago his mummy bought a Scramble Bug. He hated it. 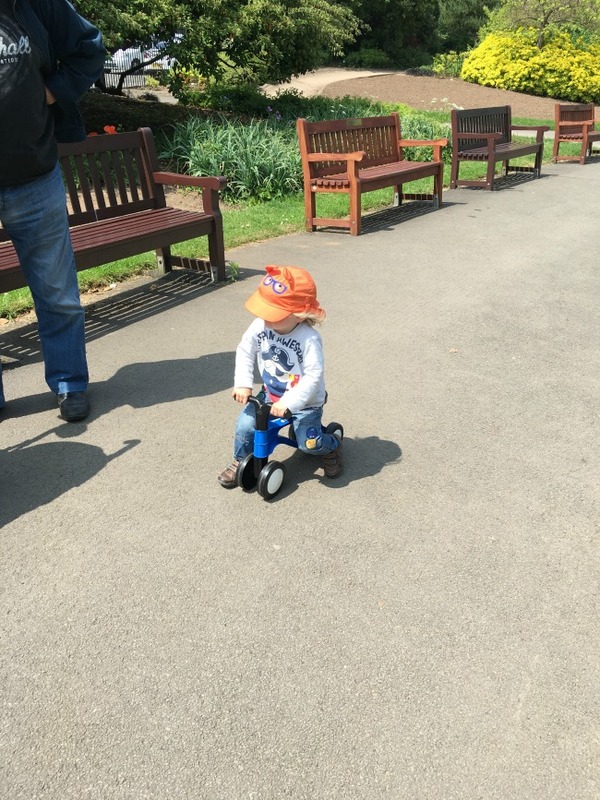 It has wheels like a Tesco trolley and he just couldn't steer it so last week I bought him a Toddle Bike2. 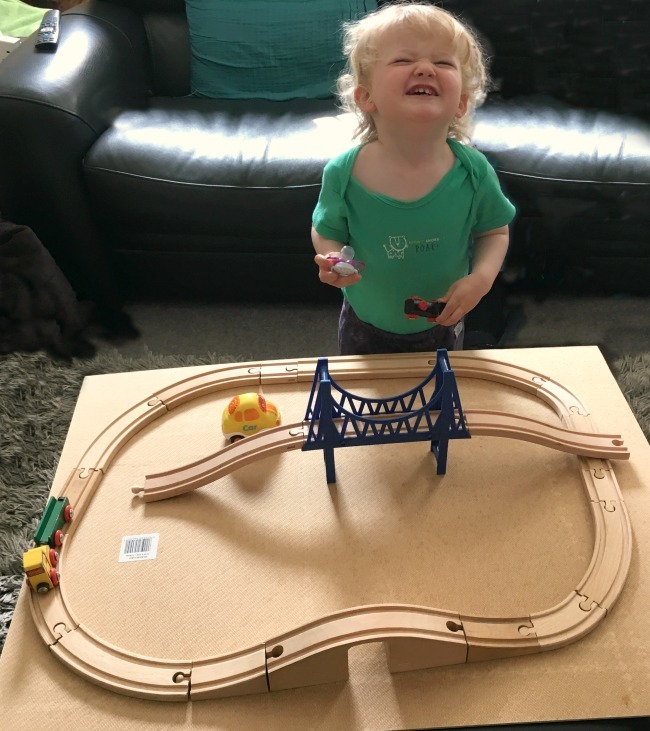 It had great reviews and he loves it. It is still a little small so he will grow out of it quickly but within minutes he was racing along. Bear didn't sleep well Tuesday night so we decided to give Tot's a miss on Wednesday and let him nap. 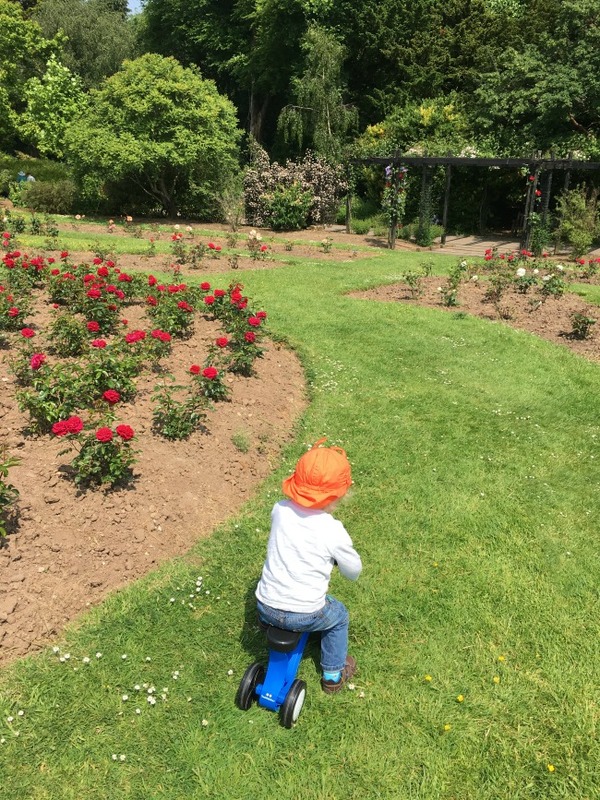 As soon as he woke up we went to Roath Park so he could ride his new bike on a flat path. 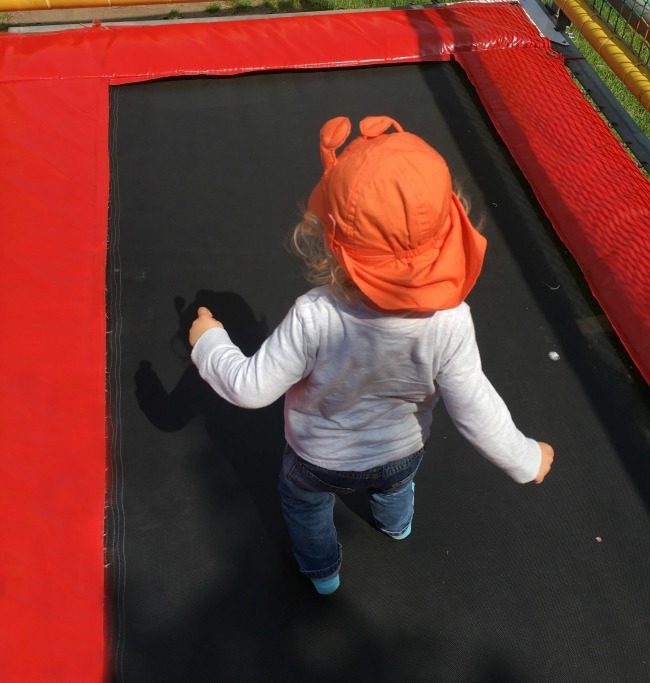 They also had trampolines, £2 a go OK for one visit but expensive if you have a few children and go often. 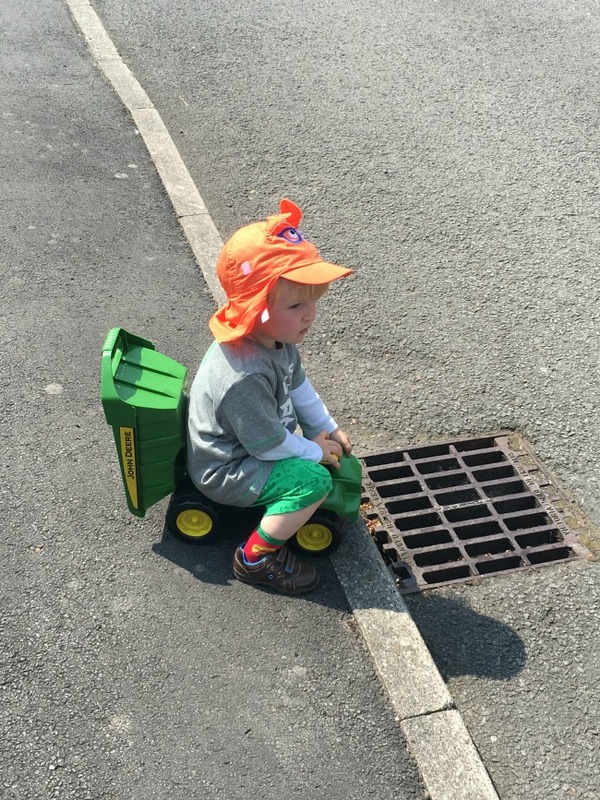 Using his push lorry as a ride on. 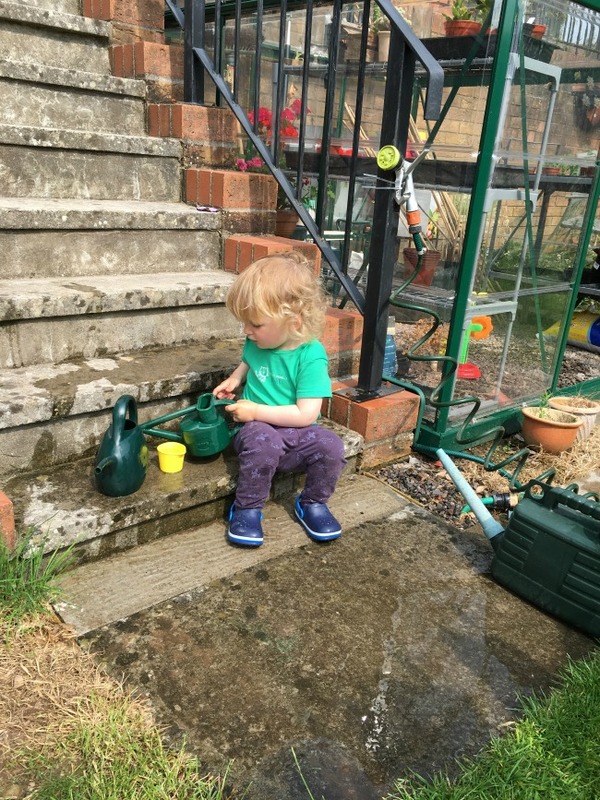 Thursday morning was sunny and warm so whilst Bear was having a nap we set up his paddling pool ready for a good splash about in the afternoon but the sun went in and a cold wind blew and it was much too cold to play in so we had an afternoon playing with his Daddy's old Brio set. We have bought a few bits from Wilko and they match perfectly. We were really impressed with the set at Perrygrove and so Grandad is going to make something similar. A trip to Wilko to get the right bits of track are on the cards this week. His trampolining skills are improving. 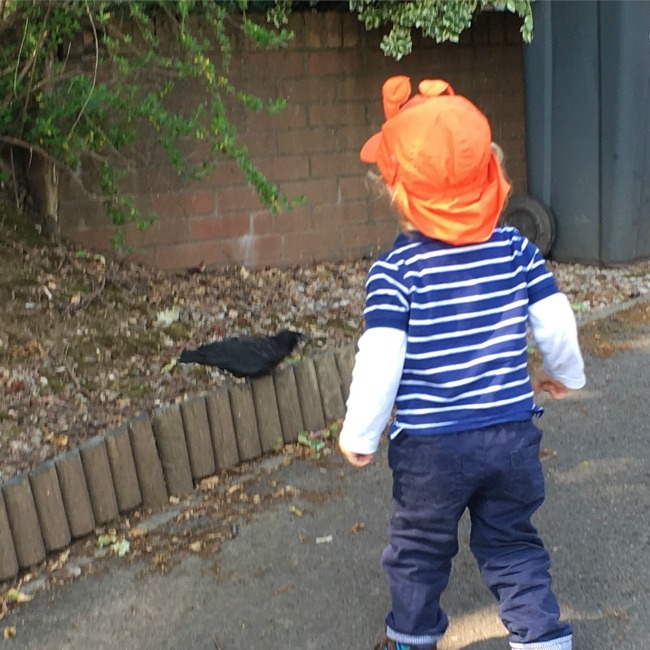 He is still cautious but once he's got the hang of it he will be more adventurous. Happy! His new word, he uses it a lot and every time he sees someone smile he'll say happy or if he's doing something he likes he'll say happy. T'Tastic Fantastic! He is so cute when he says difficult words. I know I say it every week but he really will be chattering away soon. He already uses the few words he has to ask for things and to tell us about things. 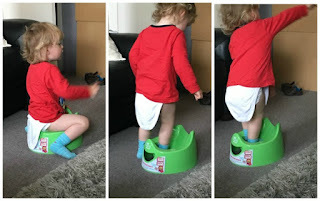 Potty training is next on the horizon and his Mummy bought 2 potties the same. One for us. He immediately knew what to do although he had a nappy on but then just ruined it all a second later. 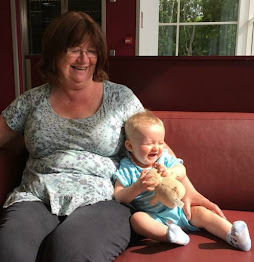 I don't have Bear this week, Grandad and I are having a break. We hope to get out for a trip or two but mostly to just catch up with jobs around the house and garden.